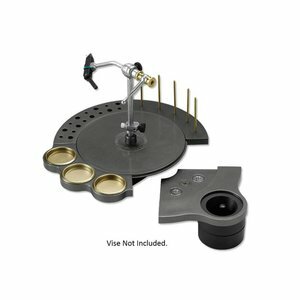 Great product that will help tremendously for keeping your fly tying desk clean and organized. 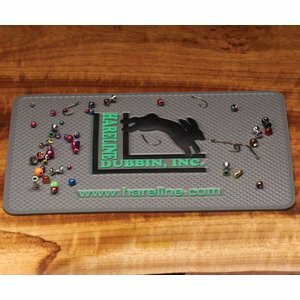 Will keep your hooks and beads from rolling or sliding away. The reverse side can be used for adhesives or epoxy and will not stick making it easy to clean. 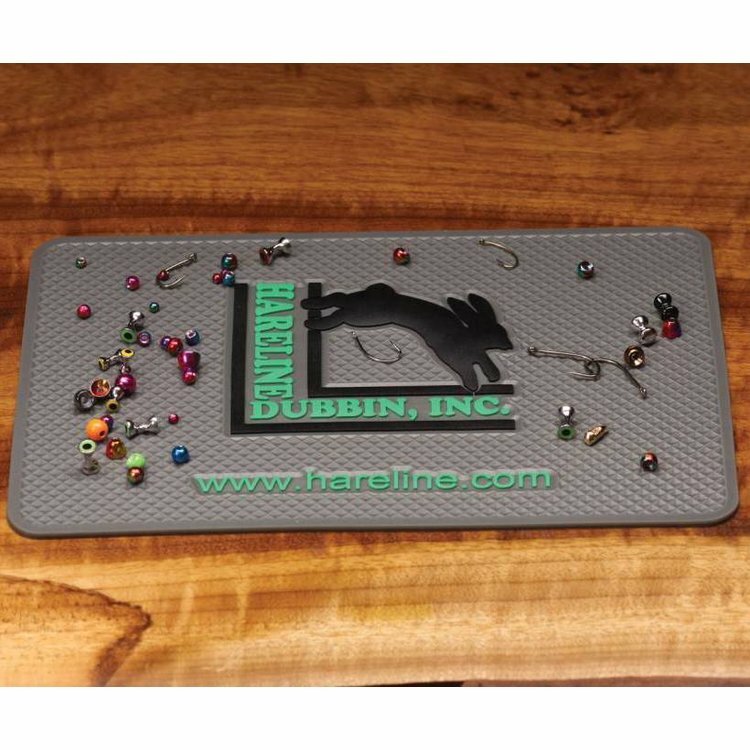 Hareline Gritty Brass Beads give your nymph and streamer patterns a very unique look. These beads are textured and really add a different shine/presentation under the water. 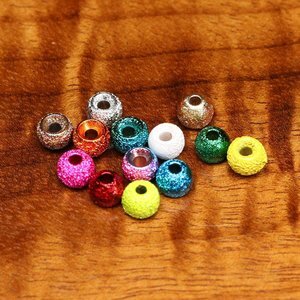 Unique new colors to add to your fly tying collection. 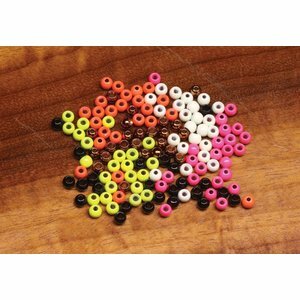 These dazzle brass beads are countersunk to facilitate sliding around the hook bend. 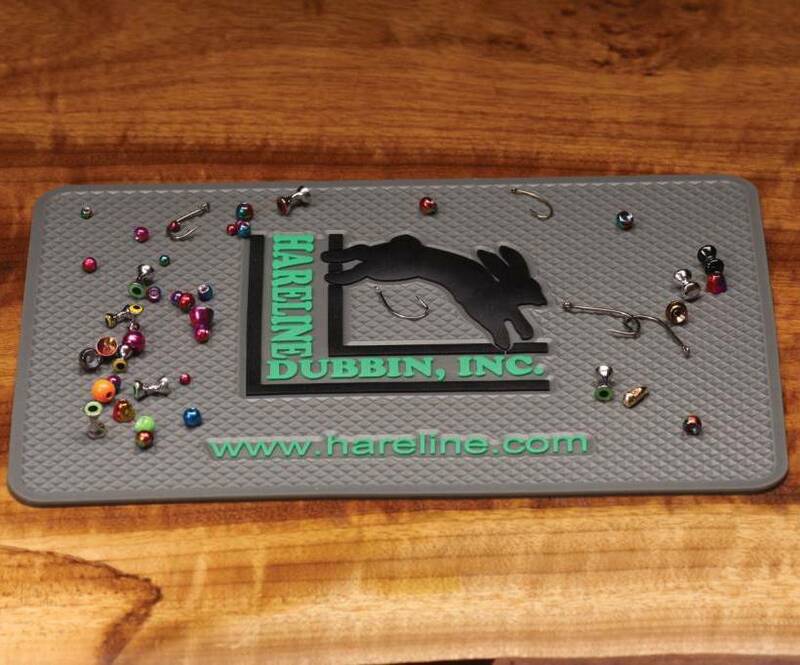 Need to add some organization (we all do) to your fly tying desk? 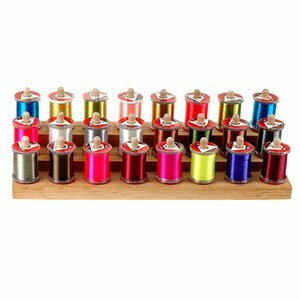 This spool riser is well made and perfect for keeping thread, wire and floss organized. Introducing the Ty Wheel. Not only is it ingenious in its design, its extremely useful for managing your materials at the tying desk. Spectacular! Check out the video below.